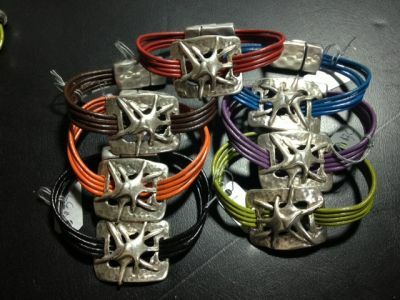 Starfish Leather and Pewter Bracelet Discounts Apply ! Pewter starfish is surrounded by butter soft leather with a magnetic clasp, retails for $35. Available in black, brown, orange, red, denim blue, purple, and chartreuse.